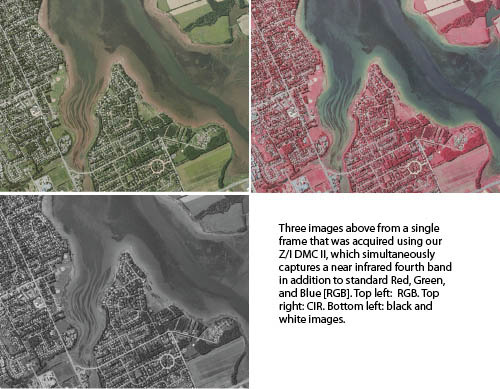 Aerial Image acquisition for geospatial applications is a constantly evolving science of imaging sensor equipment, precise positioning, and computer/software technologies. As new technologies become available, new and creative applications of aerial geospatial products and services are being utilized to support current and future requirements for managing our environment, land use, utility infrastructure and transportation facilities. Midwest Aerial Photography has integrated new technologies and devised new production processes to meet increasing customer demands. Our endeavor is to provide imaging services meeting the highest quality standards for aerial missions supporting photogrammetry, photo interpretation, remote sensing, GIS (Geographic Information Systems), orthophotography, planimetric mapping and topographic mapping. We have provided airborne data acquisition services and products to the public and private sectors since being founded in 1989. We have served these entities focused on customer needs providing small scale and large-scale images with high resolution at engineering scale accuracy throughout the United States. Midwest Aerial Photography is an industry leading aerial image provider and the first firm in the Americas to acquire the latest advancement in precise imaging technology with our purchase of the new Zeiss/Intergraph Digital Mapping Camera [DMC] II 4-Band digital sensor. The Z/I DMC II is the industry’s most innovative large format digital image framing system, which replaces older systems containing multiple camera heads that require CCD stitching and image mosaicking to produce a virtual frame image. The Z/I DMC II includes one large CCD exclusively customized by DALSA to maintain geometric accuracy for precise mapping applications. The single PAN camera head achieves the fundamental photogrammetric optics design proven by metric film cameras over several decades and eliminates potential sources of errors for geometric accuracy and radiometric quality. An essential part of the system includes a gyro mount to correct angular image motion. Forward Motion Compensation [FMC] is internal via TDI technology and represents the current state of the art for controlling aerial image quality. Our airborne image and data acquisition infrastructure presently includes five survey aircraft and four Zeiss RMK TOP 15 film cameras. Integrating our dual frequency GPS receivers and an IMU to the Z/I DMC II direct digital camera or to the RMK TOP film cameras allows direct geo-referencing of project imagery to automate many of the photogrammetric processes. Midwest Aerial Photography has established itself as the principal firm in the center of America that specializes in aerial photogrammetry imaging. Our very survival as a business entity has always depended on our ability to deliver a high quality professional product in a timely manner. Our customary operational area has included the Great Lakes region, Mississippi River Valley states, Gulf Coast states, Plains states of the Midwest, and the south Atlantic states of United States, however we have completed projects throughout the entire United States and eastern Canada. With our growth, we have established a branch flight operations facility in Nashville, Tennessee in addition to our normal home base in central, Ohio.